Despite your neighbor’s side gig as an Airbnb host, the hospitality industry isn’t exactly cowed. In the next half decade, as many as 46 new hotels—with some 8,000 rooms—will be laying down digs in L.A. Among the more anticipated openings, there’s a Dream Hotel set to debut in Hollywood by late spring, a James Hotel aimed at a Christmas unveiling in West Hollywood, and a Waldorf Astoria pegged for next summer in Beverly Hills. All the interest from developers makes sense: There aren’t enough beds to go around. Countywide, hotel occupancy averaged 78 to 80 percent last year, “which effectively means that many days we’re at capacity,” says Bruce Baltin, who advises hotels as managing director of PKF Consulting. Along with uncorking construction projects, the gradual economic recovery has been boosting tourism. “We’re almost at the numbers that we saw back in 2007,” says Bob Amano, executive director of the Hotel Association of Los Angeles. In 2015, L.A. was projected to welcome 45 million visitors, and the city is expected to bring in more as it evolves. “Part of the problem with L.A. all along was there was so much ‘here’ here, and there was no way to define it,” Baltin says. But the revived downtown has provided an appealing notion: a city core that is its own destination. In fact, no other quadrant of L.A. is welcoming more new hotels. One is the Dazzler Clark. 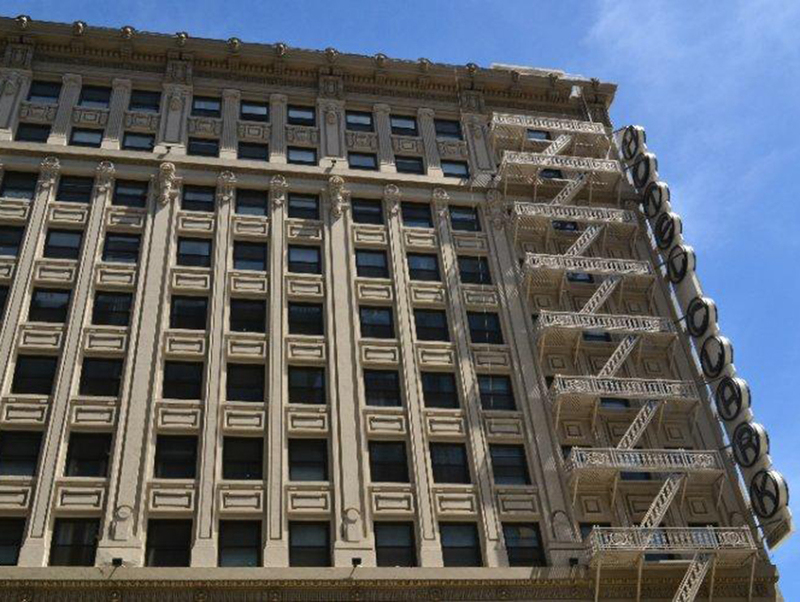 Set in a 1914 building on Hill Street, it’s slated to launch this spring, while its sister property, the Esplendor Trinity, is among several in the works near L.A. Live. Next door the city has piqued hoteliers’ interest with plans to expand and modernize the puny convention center. The 3,000 hotel rooms nearby can’t house a large Con contingent. “We aren’t able to get those big global events without about maybe another 5,000 rooms in and around the Central City area,” says Amano. Current projects should get DTLA most of the way there.